View the training via WEBCAST: View on your device at a place and time convenient to you (expected to be ready to view by early October). Newer attorneys who want a comprehensive introduction to Maryland’s District Courts. 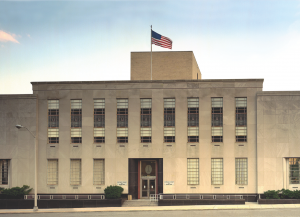 Next steps for pro bono service in Maryland’s District Courts. In exchange for this FREE training, attendees must volunteer at three (3) consumer protection clinics through the Consumer Protection Project (CPP) or three (3) rent court clinics through the Tenant Volunteer Lawyer of the Day (TVLD) Program within 1 year of training. Case support, access to a mentor, and malpractice insurance provided. 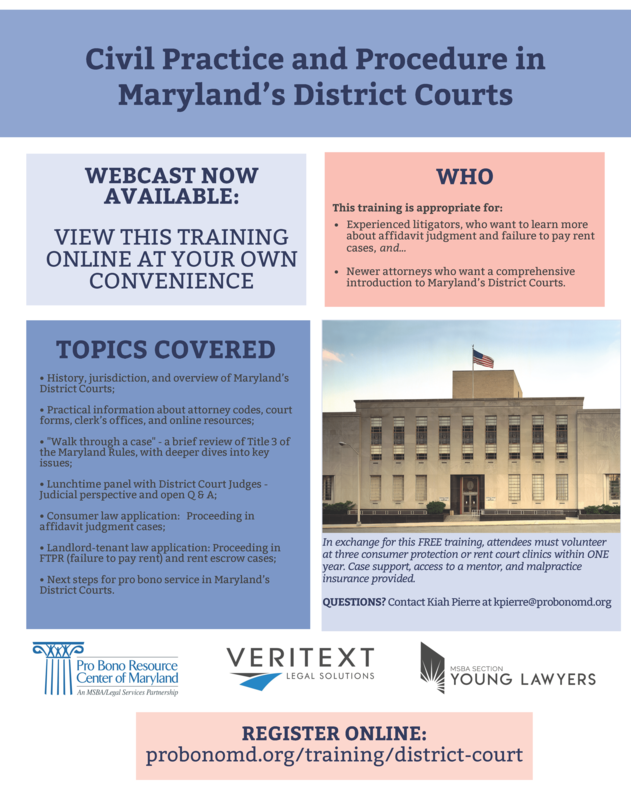 This training is co-sponsored by the MSBA Young Lawyers Section and Veritext Legal Solutions . Questions? Contact Kiah Pierre at kpierre@probonomd.org.